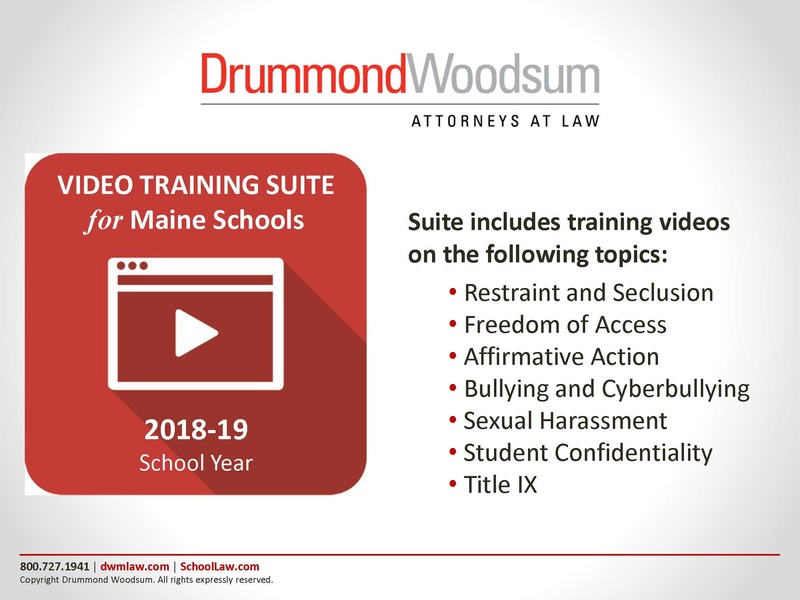 By providing all of your training requirements in one place, the Staff Training Video Suite satisfies these training mandates in a user-friendly and economical way for the 2018-2019 school year. View each of the seven videos on an unlimited basis during the school year, after which time the videos will be updated and re-issued for another year by subscription. For districts that purchased the 2017-2018 Video Suite, for a limited time, the renewal price is reduced to $595. The price for first time purchasers, for a limited time, is $995 (enter coupon code new video at checkout). Order individual videos for $290 each. If you purchased last year's video suite, enter coupon code video renewal (case sensitive) at checkout to receive the $595 renewal price. If your district uses Protraxx to track trainings and gauge comprehension, you will be able to access and train your staff using your purchased videos through Protraxx. Contact Dave Daniels for more information on Protraxx (ddaniels@protraxx.com).